This is an award-winning flavor and for good reason. The complex set of flavors make this marmalade something special. First, you taste the robust lemon, then the sweet pear, followed by the exotic Kaffir lime. The texture is wonderfully diverse with tender bits of pear and lemon peel which offers an excellent mouthfeel. This marmalade is delicious on wholewheat toast with Irish butter or on top of a cream scone with a cup of tea. A little bit about the award. 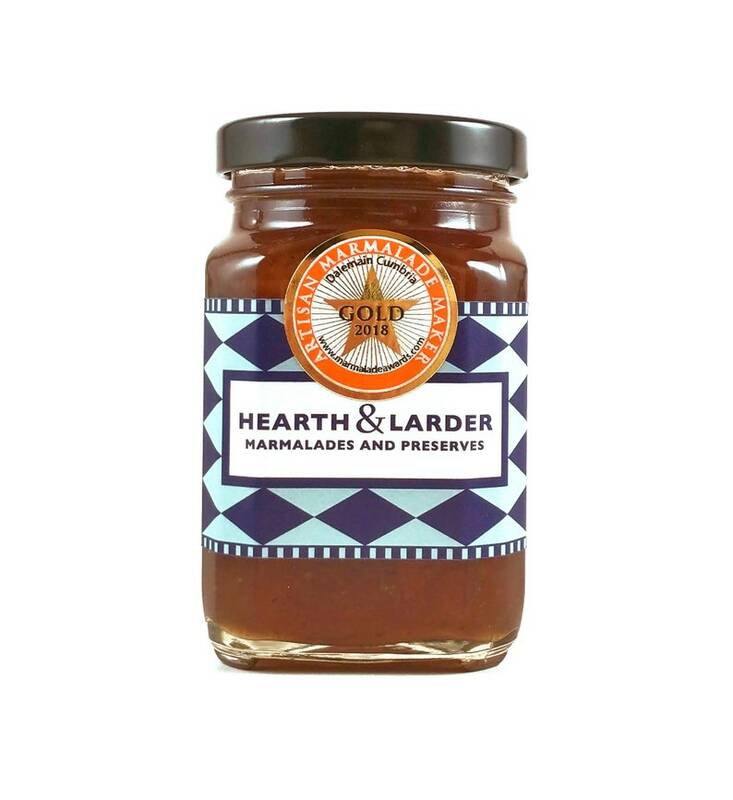 I was delighted to learn Hearth & Larder won a gold award at The World's Original Marmalade Awards in Cumbria, UK. So, I set off to the visit the Land of Hope and Glory. Visit my blog to read about the whole experience. It was amazing, albeit quick! Small batches are cooked in large copper pans which offers exceptional heat conductivity and reduces the overall cooking time. The result is vividly flavorful, fresh tasting marmalades and preserves. The process is labor intensive but that's why it tastes so good!